The experiment cost £3m, some £2.2m of which was spent on fencing and other security measures to protect the trial from animals and saboteurs. Campaign group GM Freeze said the experiment was a waste of money and further evidence of the “folly” of investing in GM technology. Agricultural institution Rothamsted Research ran the trial in Hertfordshire from 2012 to 2013. Scientists had hoped to create a strain of wheat capable of deterring aphids – such as greenfly and blackfly – from eating the crops and spreading infections. They changed the structure of the plants to produce a natural pheromone – commonly found in peppermint – which aphids release when attacked by predators. Researchers hoped the modified plants would no longer need to be sprayed with insecticides. While lab tests found the pheromone worked as a highly effective repellent, field tests revealed there was no difference between modified crops and conventional plants. Senior molecular biologist Professor Hew Jones, who worked on the trial, said: “As scientists we are trained to treat our experimental data objectively and dispassionately, but I was definitely disappointed. GM Freeze said the experiment was a waste of public money. Speaking to the BBC, author and campaigner Tony Juniper raised concerns about the wider implications of GM crops. 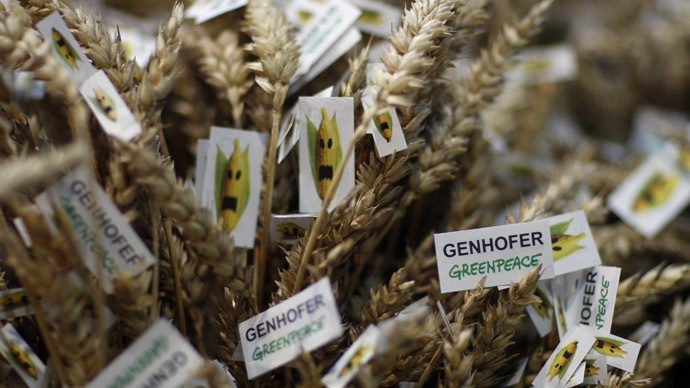 The former Executive Director of Friends of the Earth said there is still concern about the impact of GM crop ownership, via patents, on the global food system. Juniper said: “I still believe the industry is finding it hard to prove a role for itself and that conversations going on around more integrated approaches to farming - that rely less on technological ‘silver bullets’ – have more potential than the pursuit of GM methods, that often miss the point as to what the actual problem is.